Crisp Point Lighthouse by Rudi. This image shows the Crisp Point Light located on Lake Superior's shore in the upper peninsula of Michigan. 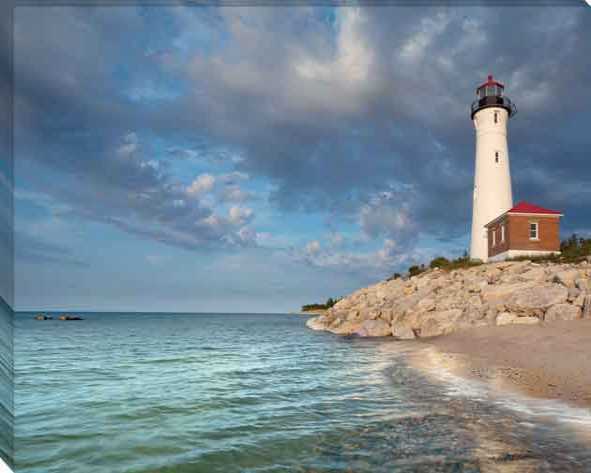 Add the history of a lighthouse to your space with this gallery wrap canvas piece.